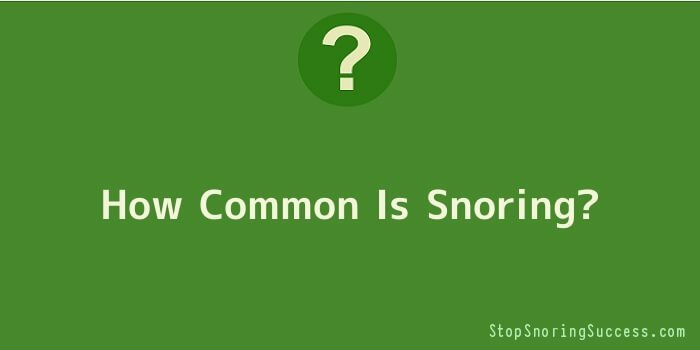 Snoring is a common problem throughout the world and 1 in 4 people has a snoring condition. Although you may not find snoring detrimental to your health, it most certainly can be for both you and your partner. Snoring can be linked to various sleep disorders such as sleep apnoea which is a condition that encourages pauses in breathing or abnormally low breathing during sleep. Sleep apnoea is a commonly diagnosed sleeping disorder and there have been studies of people who have stopped breathing for up to 10 seconds in their sleep. Snoring is caused by many factors such as weight gain, the way you are physically built, and even your age, but in most cases you can reverse your snoring by getting rid of most of the causing factors. One major cause of snoring is weight gain and obesity. As a subject’s body mass increases, the amount of fatty tissue in their body also increases which leads to an excess amount of poor and weak muscles. To avoid snoring, their trachea (breathing tube) must be clear of any hanging tissue or weak tissue that may “flap” when you inhale and exhale. Unfortunately, when a subject is overweight, they lack the muscle mass needed to keep the trachea clear of any obstacles and therefore they become more prone to snoring. Another problematic feature is that when someone is obese, they will have extra fat that surrounds the throat and the tongue which makes it easier for the trachea to become narrower. The more that the trachea narrows, the harder it is to get air into and out of the lungs and throat. Although in some cases people might bring snoring upon themselves due to poor lifestyle habits, some people will be genetically predisposed to snore, for example, men are more likely to snore than women. Men are built differently than women in various ways but they have a few key parts of their throat that encourage snoring such as the space behind their tongue and the way that their trachea and throat are built. Men have a larger space behind their tongue and so when their throat relaxes during sleep, there is a higher chance for an obstruction to gather behind the tongue. As the male exhales, the obstruction is forced to “flap” or “flutter” as the air exits the chest. It is said that at least 80% of men snore and only 40% of women snore, which is double the amount. Another reason as to why men snore more than women are because they have a higher likelihood of having bulky throat tissues. As the tissues relax in the male’s throat, you once again have a recipe for heavy snoring. There are thousands of causes for snoring starting from weight gain and ending with your genetic features. It is scientifically proven that men are more likely to snore than women and that obese subjects are more likely to snore than those of average weight. The majority of the population do not believe that snoring can become detrimental to your health but with sleep apnoea as one of the main side effects of snoring, it is imperative that snoring is to be diagnosed as just snoring and nothing more serious. Although snoring may seem like it will never go away, there are various products available to aid in the elimination of snoring and can prove to be extremely useful to the average citizen.